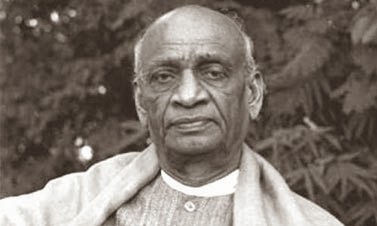 Even as Gujarat’s powerful babudom is gearing up for the high-profile stone laying ceremony on October 31, birth anniversary of Sardar Vallabhbhai Patel, for the so-called Statue of Unity, proposed as the tallest statue of the world, insiders close to chief minister Narendra Modi doubted if his idea of getting iron from farmers from all over the country in order to build its structure would ever succeed. A senior official, refusing to be named, suggested, even Modi believes that even the most ideal scenario it would not be possible to collect more than 700 tonnes of iron. “This became clear in an internal meeting. We concluded that even if 200 to 250 tonnes of iron is collected, that would be enough”, the official said, adding, “This is at best ten per cent of the iron actually needed to build the statue – an estimate of 2,500 tonnes of iron.” Saying that iron collection, to be undertaken after Modi’s October 31 rally at Kevadia Colony, off Narmada Dam, would be “largely a symbolic and a political gesture”, the official said, rest of the iron would have to be bought from the open market. Babus have been asked to fan out to different states to organize iron collection, starting in November. Meanwhile, a view is emerging among top state bureaucrats that the diversion of the entire babudom into the collection of iron and building the statue – a political requirement of Modi ahead of the 2014 polls – is leading to failure of the state’s Narmada and water resources officials to give enough time to the Narmada project, especially the network of canals, which till date remain largely incomplete. Out of early 18 lakh hectares of land targeted to be cultivated with Narmada waters in Gujarat, a potential for 5.59 hectares (ha) has been created, but the actual irrigation has not been more than 2 lakh hectares. The view is also emerging that priorities of the Gujarat government have begun to change from agriculture to urban and industrial development. “Already, nearly one million acre feet (MAF) of water out of a total of nearly nine MAF which could be made available from the Narmada dam’s reservoirs is being diverted to industry. About two years ago, the Comptroller and Auditor General of India had already sharply criticized the Gujarat government for using more waters than allocated to industry and urban areas by the Narmada Water Disputes Tribunal", an official said.